This is an example of what I do with antique broochs' This piece has been re-styled into a necklace/choker. A client bought me this brooch that use to belong to her aunt and had sentimental value. She rarely wears brooches so I clipped off the pin and wired the piece onto a heavy gauge anit-tarnish brass wire. I added smooth glass transparent beads approx 12mm and gold spacers to complete the piece and now she has much better use of this heirloom. 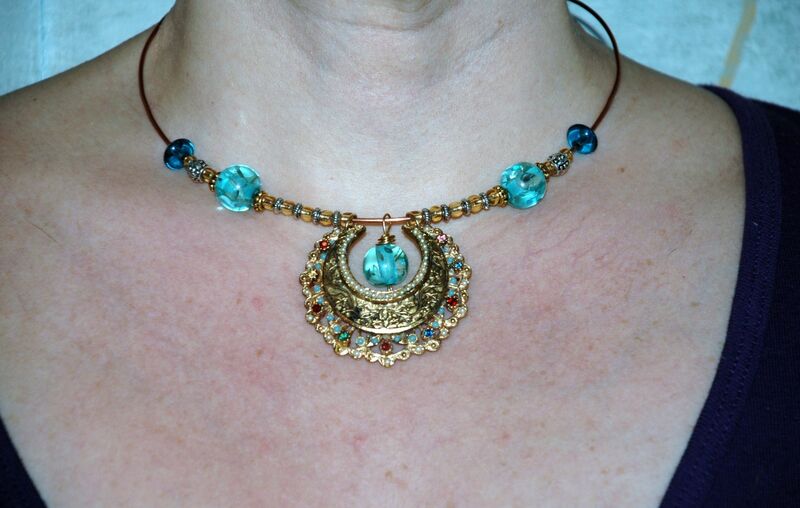 Reinvent your antique jewelry with me!